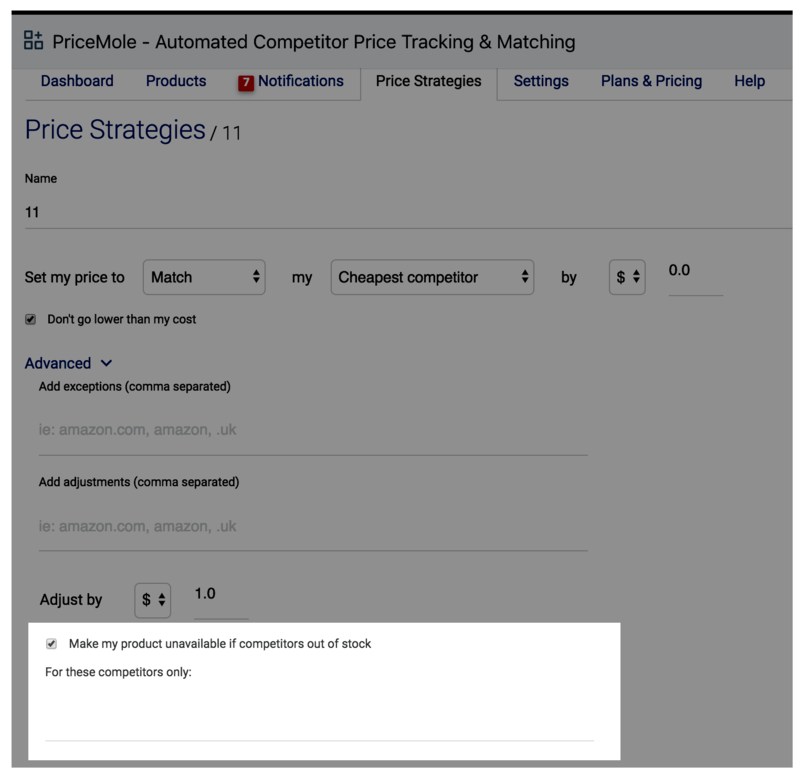 In the advanced section of Price Strategies you can now specify when to automatically mark your product out of stock. For drop-shippers this is key, add the domain name of your supplier, when they go out of stock, your product will be marked out of stock as well. 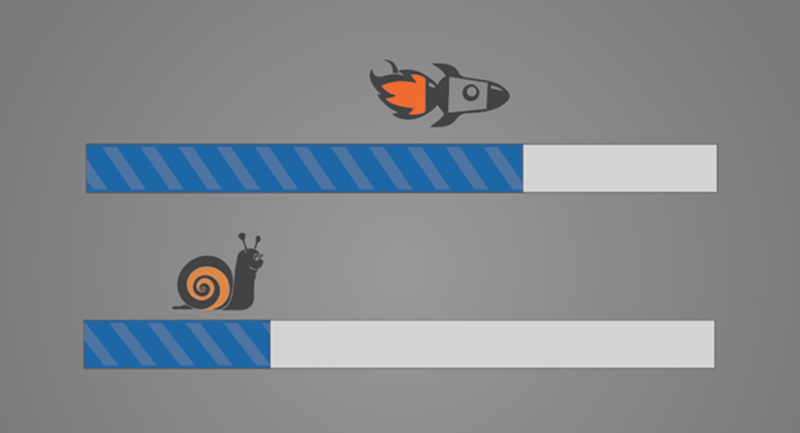 Make sure that you don’t have the option to continue selling after you are out of sock checked on Shopify. Searching through pages and pages of notifications was timeconsuming. It’s much easier to find the notification you are looking for, now that you can specify the type of notification you re looking for. 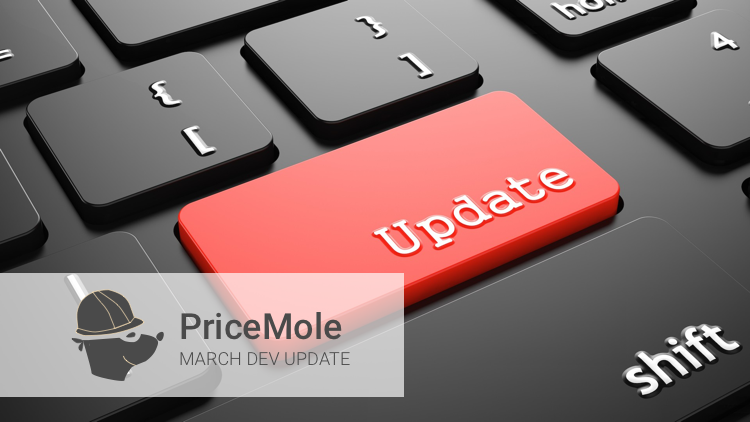 PriceMole lets you add a variant description so different prices can be detected for different variants. For a while we have been able to grab variants from dropdown selections and clickable. 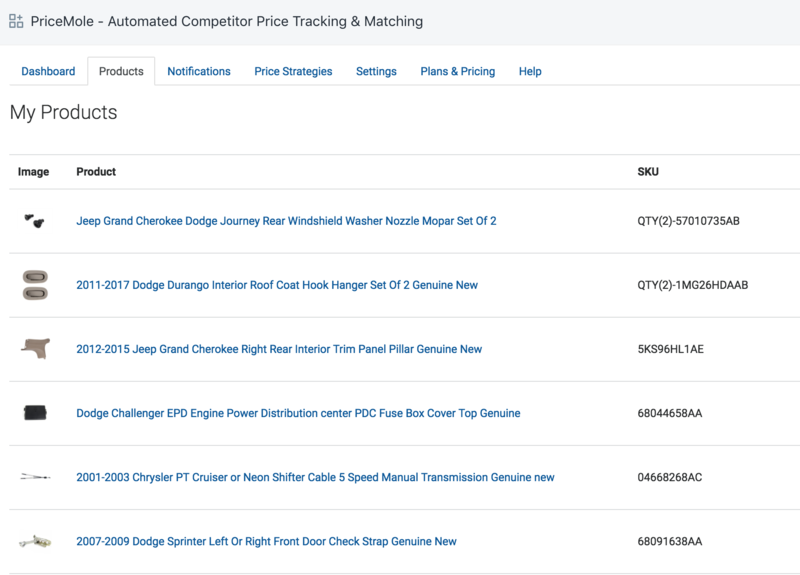 Now PriceMole can now detect additional price variants in tables, variants that have add to cart buttons options, and more. 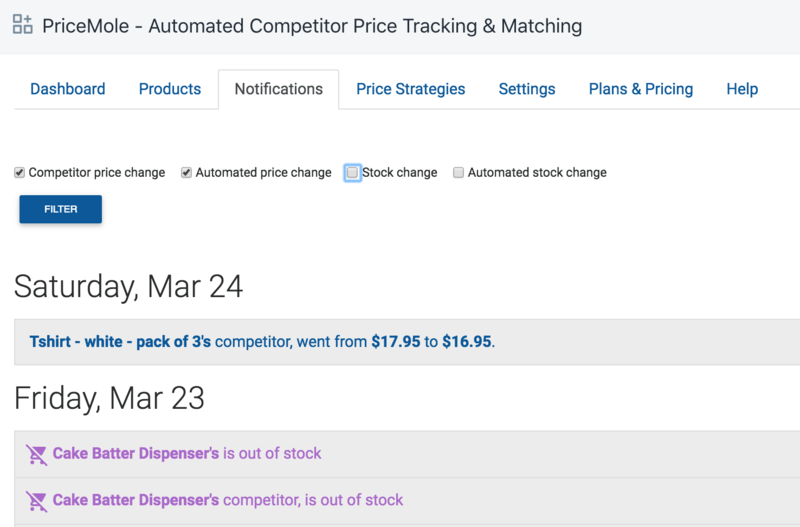 Some users suggested it would be helpful to be able to search for a product by SKU number. You will now see a table with SKU numbers in PriceMole and have the ability to search for these number as well.